Revitalise your skin, reduce fine lines and wrinkles with our ultimate Tear Trough treatment. A duel action of lifting and bio-restructuring tackles the hollowness and dark circles under the eyes. Using microcanular technique. Our filler of choice is Aliaxin SR which restores harmonious facial balance with long lasting effect. Please note for Aliaxin SR the price is £350. What is tear trough filler treatment? This effective non-surgical treatment can help to reduce dark eye hollows under the eyes. A build up of fluid around the eyes, known as periorbital edema, can also create the appearance of eye bags, making you look tired and older. This area of lost volume underneath the eye also creates shadowing, which leads to the appearance of dark circles. Tear trough dermal filler treatments can dramatically improve the appearance of the eyes. Dr Natasha will gently inject fine filler into the tear trough, which will plump, illuminate and soften the shadows under the eyes. This revolutionary and non-surgical eye-lift treatment that can rejuvenate your look. Dermal Fillers work by blocking signals from nerves to muscles. The injected muscle can no longer contract, causing wrinkles to soften and relax. Dermal filler fills the space of volume loss which improves folds and wrinkles, as well as attracting water to replenish moisture to your skin. It also has a biological effect on your own hyaluronic acid by encouraging it to increase collagen and elastin production which improves skin integrity and quality. Overall this restores a natural and youthful appearance. The injected hyaluronic acid (HA) is chemically and physically cross linked to avoid rapid degradation. By injecting hyaluronic acid, your skin can regain thickness and substance. What are the risks involved with the treatment? Clients should follow our post procedure recommendations. As with any treatment there is always a general risk. It is important that the client understands that there are minimal risks involved with the procedure. An individual’s choice to undergo the procedure is based on the comparison of the risk to the benefit. The client should discuss this during their consultation with Dr. Natasha. However, a little Bruising, redness, swelling and discomfort are normal. If the advice given by Dr. Natasha is followed, swelling and bruising should only last for a few days. Depending on your skin type, this should be minimal. All fillers use Hyaluronic acid and are FDA approved. Yes. Dr. Natasha has vast experience in advanced aesthetics. Dermal Filler injections work to relax the muscles by blocking nerve impulses that trigger the wrinkle process. The Hyaluronic acid (HA) based filler is completely natural and safe. Over time, the filler will slowly dissolve into the body, causing no harm to you. Most side effects are normally very mild. There may be temporary redness, mild pain and minimal swelling for a few days after the procedure. It is important to follow the post procedure recommendations. What are the benefits from having the treatment? The procedure using dermal fillers are temporary. The changes from just one procedure are visibly instant and natural looking. There is minimal downtime post procedure, and only very mild bruising and redness. Dermal fillers are considerably cheaper compared to conventional surgery, and can have a dramatic improvement on the clients appearance. The risk is minimal and the recovery time is short. Prior the treatment: a very mild anesthetic will be applied for 20-30 minutes prior the treatment. Dr Natasha will clean under the eye area, then mark the area under the eyes to be treated. A small amount of Hyaluronic acid gel (None-permanent) is carefully injected via a fine hypodermic needle under the eye area. After completing a series of injections, Dr. Natasha will very gently massage under the eye area, to ensure the filler is evenly distributed around the injected area. You should avoid touching or applying make up on the treated area for at least 6 hours post treatment. What are the advantages of the treatment? What are the Pre-Procedure Do's? DO not have the treatment right before a big event. It is likely that your lips will swell, and you will likely want to have this treatment a week or two before you need to look your best. DO have ideas of what you want. For example, like a haircut, if you can bring in pictures of what you are looking to achieve, it will be very helpful to Dr Natasha. But at the same time, DO be realistic with your expectations. DO be prepared for a little discomfort. The products used for lip injections, all have a numbing agent mixed in, but with an area as sensitive as the lips, you are likely still going to feel some of the injections. What are the Post Procedure Dont's? Bruising and swelling is common post treatment. To help we advise to use some Arnica Cream (TM), for any swelling. Avoid any Hot Drinks (Post procedure) as this can affect the the filler. Avoid using any Make-up or Skin care products / Spray Tan / Direct sunlight, sun exposure and do not use tanning beds. Avoid any water on the lips. Use a facial cleansing wipe to clean face, avoiding the facial area. Avoid touching or massaging the injected area, unless absolutely necessary. Avoid chewing gum and kissing. Apply cool compresses to injected sites for five minutes up to (Four times a day) If Required. Restrict facial movements (Where possible) Up to 1-3 weeks post procedure. Try to keep the head elevated while sleeping for the first (48 hours post procedure) to help prevent swelling. There may be a small amount of stinging where the hypodermic needle has entered the skin. Usually this will only last a short period of time. The procedure requires no cuts or incisions. The area can be numbed if required before the procedure is carried out. There may be some slight swelling or bruising around the treated area after the procedure. This is normal and only normally lasts for a few days. Do I have to pay for my consultation? Dr. Natasha will give a consultation, discuss and advise all available options with the client prior to the treatment. A thorough medical history will be discussed before each treatment is carried out. A discussion will take place at the consultation, as to the look and which treatment the client requires. Pre-treatment photos are taken, if the client is happy to proceed, then the treatment will go ahead. Why choose Dr. Natasha Clinics for my treatment? Some clients experience some slight swelling or bruising under the eyes post treatment, this is normal. The extent on how this affects the client usually depends on how easily they bruise, usually it’s very minor. You may also notice that the injected area will be tender for up to 5 days following the treatment. 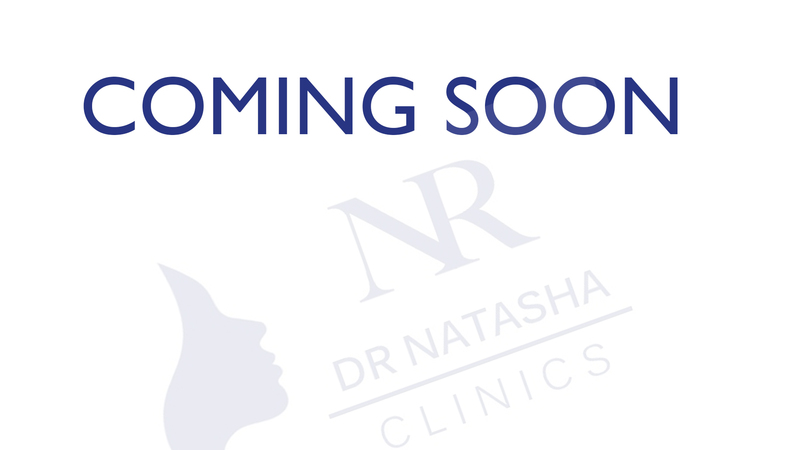 Dr. Natasha will give aftercare advice, and answer any questions or queries the client may have. Dr. Natasha will arrange a future appointment date with the client, for a post procedure checkup. Dr. Natasha will also advise that the post procedure recommendations are followed. The procedure is very safe. Dr. Natasha is very experienced and specialises in tear trough fillers & advanced aesthetics. Common side-effects may include redness, mild bruising and mild swelling, this is usually minimal. These usually resolve within a few hours, but bruising may last up to a few days. The recovery time is usually between 48-72 hours post-procedure. It is highly recommended that the client follows the post-procedure recommendations to avoid complications. It is recommended that you avoid Smoking after the procedure. Smoking can cause the skin to tighten and constrict, and may shorten the life of the treatment, and the clients overall look. Normally the results last between 4-6 months. However, this is dependent on the individual, and if the post procedure recommendations are followed. A follow up treatment is recommended by Dr. Natasha to maintain the look required by the client. Dr. Natasha will discuss your next course of treatment, if required at your aftercare appointment.